Can this gaming mouse live up to the hyperbole printed on the packaging? "The Xai is a tool, not a gadget." There's a lot more of this overblown hyperbole in the box for this terribly expensive mouse. It promises groundbreaking technical specifications and more. There's even a little LCD screen on the back to aid programming, which impressed us no end with its digitalism. The bottom has big smooth contact pads and there are eight buttons, which need only the lightest of touches. It's all finished in a classy matt black. Even the 2m lead is swish, with a braided sleeve. However, the main selling point is the sensitivity. At 5,000dpi against a more typical rodent's 1,000 to 2,000dpi, it's extremely accurate. No more blaming the mouse if you miss. Yes, it's awfully extravagant. A tenner will buy a perfectly good mouse, and even Microsoft's Sidewider costs less than half of this. You'll need a serious gaming system to really warrant such sensitivity too. But in the heat of online gaming battle you need a good mouse in your hand and we love the thoughtful design in all its black seriousness. The £20 NP+ ProGaming mouse pad, on the other hand, is not quite as seriously impressive, despite its positioning as the ideal partner for the Xai. The first thing you'll notice is that this thing is huge: 450 x 400mm is one heck of a mat. We don't know about you, but we rarely need to sweep the mouse across a foot of pad to zero onto the next victim. Come to that, there's rarely that much uncluttered desk space in the first place. The woven top surface has a "unique rough glide" covering, which may or may not suit depending on your personal preference; the mouse hardly glides effortlessly across it. We found the surface offers a little too much resistance for our taste. 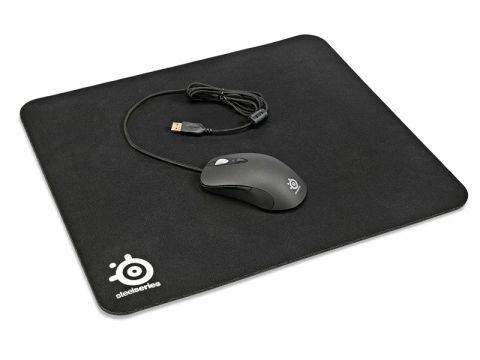 And it was far too big – although you could cut it up and get four small professional gaming mouse-mats for the price of one.